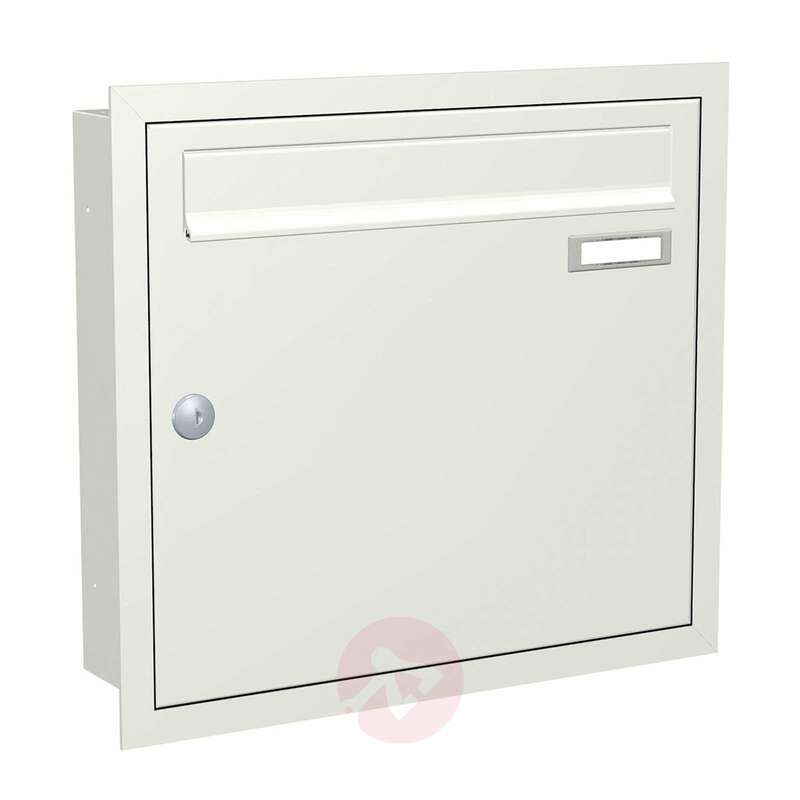 The Express Box Up 110 flush-mounted letterbox stands out thanks to its tried-and-tested, simple design. 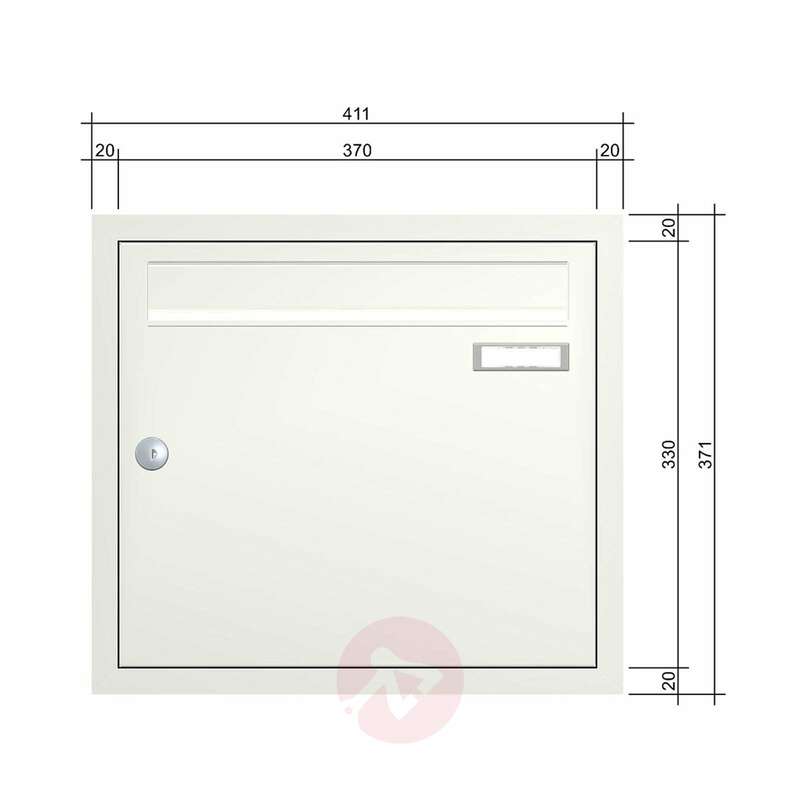 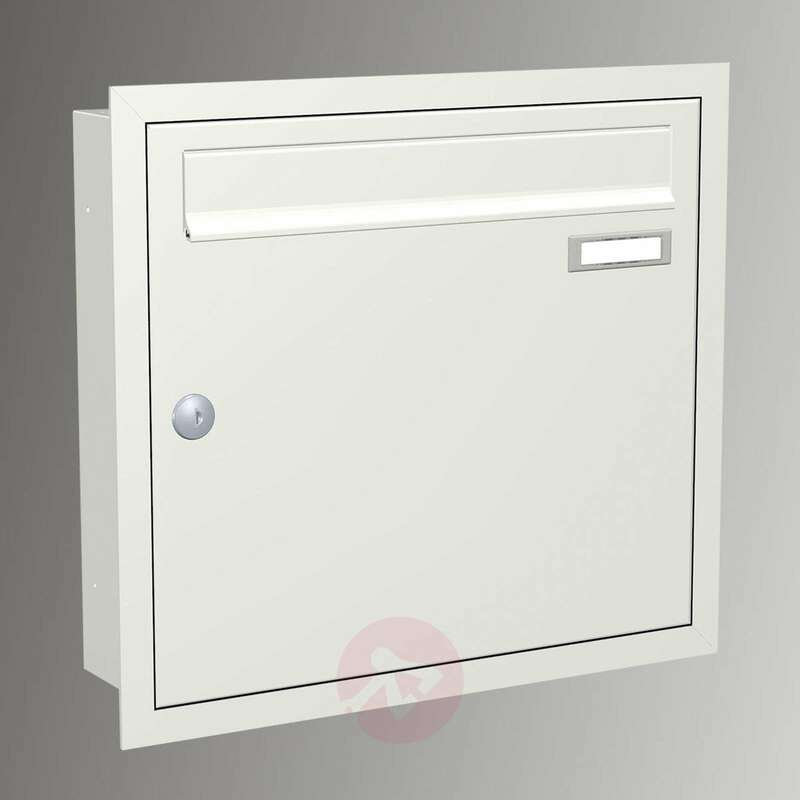 It is a simple, white, flush-mounted letterbox with the flap and opening at the front. 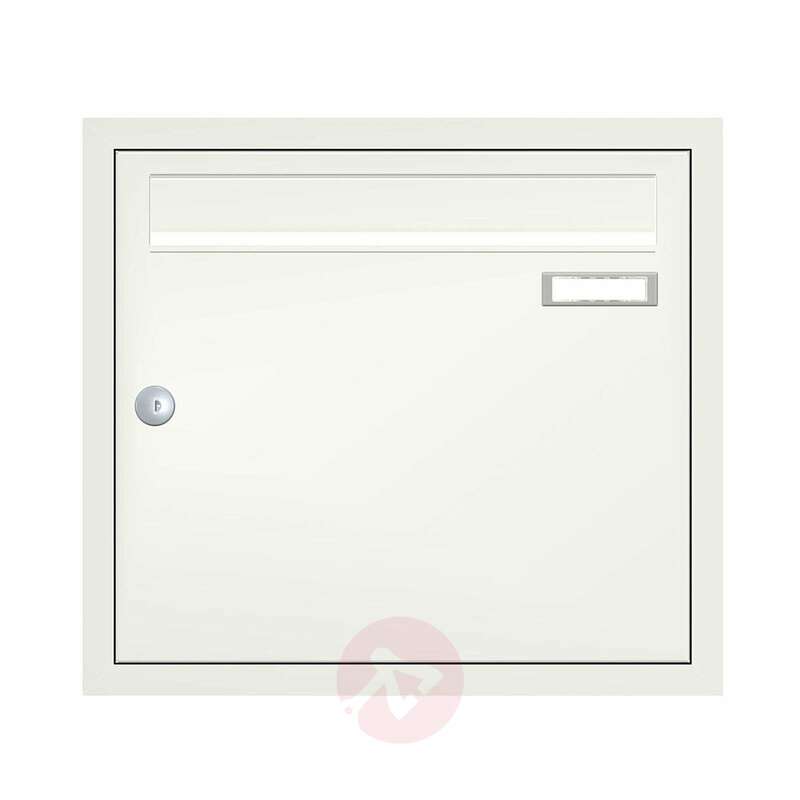 It has a capacity of 12 litres and is very durable. 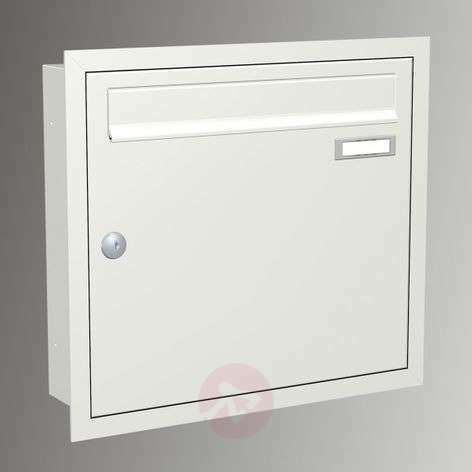 Thanks to the galvanised sheet steel, it can be used for many years.